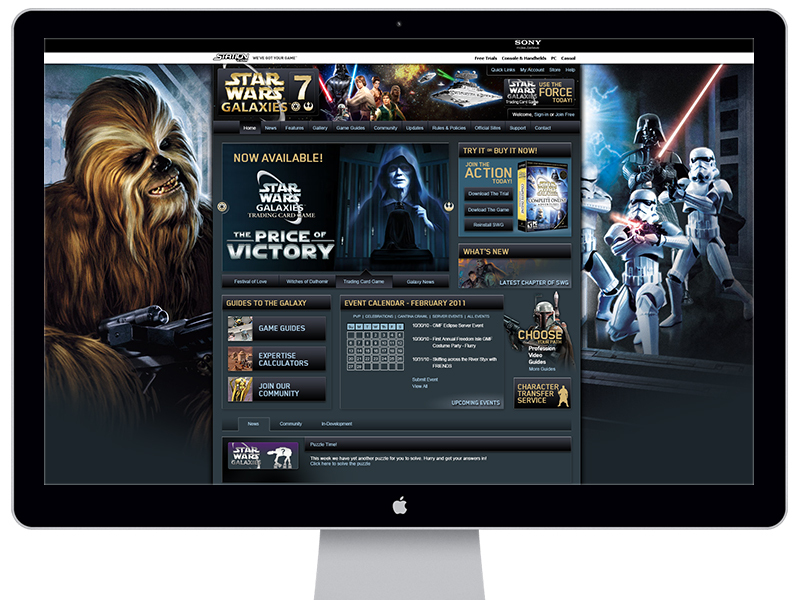 This was the re-design for SWG7 an MMO game from SOE (Sony Online Entertainment) that I did for its expansion launch. The art assets were given to us by Lucas Arts and or in-house concept artists, approved by George Lucas, for use on this site. The rest of the design work was created by me including the layout, navigation, icons, typefaces, color palates, and art asset placement.